I personally think that one of the absolute most important things in life is your relationship with your partner. Too often I talk to women who are not happy in their relationships for many reasons – but many boil down to simply not feeling connected to their loved one as they once were. New relationships are fun and exciting… but then life gets hectic – the “honeymoon” ends and we have life and bills and responsibilities. It takes work to keep the “fun and exciting” in a relationship, that is why I love companies like Intimate Tickles LLC which offer products to keep the fun in your relationship for years to come. Intimate Tickles LLC owner Ginny Brown sent me a super fun game to review for the 2016 Christmas in July Gift Guide. I personally think couples should always play games – games are FUN! We should all strive to have more FUN in our lives! 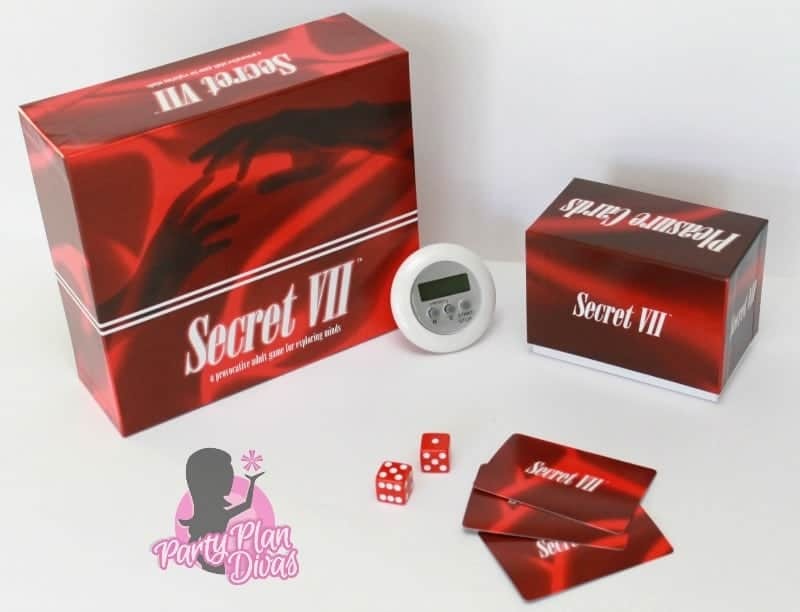 She sent in Secret VII, a super simple and romantic card game that encourages playfulness in the bedroom. There are 400 Pleasure Cards that each player chooses seven of, and then simply roll the dice. When you roll a 7 you get to act out what is on your card – but only for a few minutes, then it is time for your partner to roll the dice. Secret VII is designed to be enjoyed by all adults! Great for those newly involved couples who wish to playfully explore their mutual sexuality, or for mature couples who desire more intimacy, or desire to explore new sexual experiences. This game is a communication tool that helps keep and reestablish intimacy in one’s relationship. Gender and sexual orientation neutral. Intimate Tickles LLC offers a huge variety of unique, high-quality romance enhancing products, including lingerie, spa products, pheromone-induced fragrances, lotions, potions, toys, intimate furniture, and more. Owned by a couple with over 25 years experience in the home party plan industry their products, host rewards, and compensation plan rival some of the large companies but with an enormous opportunity for growth and attention from the top! Check out Intimate Tickles LLC website to learn more about how you can get involved.